Home » an academic » Animals » Climate Change » Facts » kids resources » Knowledge » Myths » Planet Earth » Good News! What Are Some Animals Thought To Be Extinct But They’re Not? Good News! What Are Some Animals Thought To Be Extinct But They’re Not? Good news! Experts have found that some species that were thought to be extinct are not. The species were able to survive problems such as natural disasters, habitat loss, and hunting. The wolly flying squirrel is 2 feet (0.6.m) tall, with a bushy 2-foot (0.6 m) tail. It is one of the tallest squirrels that can glide through the air. It was thought to be extinct more than 70 years until was found in Pakistan in 1995. 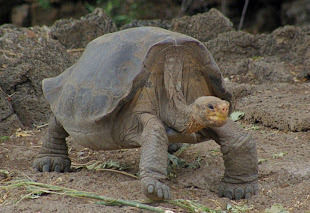 Lonesome George was thought to be the last Galápagos tortoises. New evidence shows there are more of them in the Galápagos Islands. The tortoises can survive for years without food or water. The Javan elephant was thought to be extinct until 2003. Centuries ago, elephants were given as gifts among rulers. A sultan from Sulu may have helped these elephants survive when he shipped them to Borneo as a gift. Since 2005, Miller’s grizzled langurs were thought to be extinct. Scientist said it was a result of forest damage in Indonesia. But in June 2011, cameras in jungle snapped photos of them and proved they still exist. The Laotian rock rat was thought to have become extinct more than 11 million years ago. That is, until it was found being sold in food markets in Laos. The rodent has the body and whiskers of a rat and the thick tail of a squirrel. Herd of buffalo? Of course you’ve heard of herds, but how many of these unusual animal names do you know? Thank you for reading Good News! What Are Some Animals Thought To Be Extinct But They’re Not? posted on the website Kwentology if you want to redistribute this article please include the link as the source. Have some kuwento to share? Contact us!